Born in Karachi, Pakistan, Mahnoor Baloch grew up there, in St. Lawrence, Canada, and Dubai, where she was educated in private schools. She married at 16. She and her husband Hamid Siddiqui, still very much together, had known each other since childhood – their fathers were close friends – and have a grown daughter. Baloch took a college degree working with private instructors. Before deciding on an acting career, she thought seriously about becoming a psychiatrist. Her more creative talents beckoned, however, and since her early 20s she has made an exceptionally successful career in Pakistan as a model, TV, and film star. She is best known to her countrymen for the televised serial “Lahmay”, which she created, produces, stars in, and directs. She was one of the fiercely comic, memorably intense sisters in David O. Russell’s Oscar-­‐ nominated The Fighter. Later this year she’ll be Mrs. Walt Disney, opposite Tom Hanks as Walt, in the much-­‐anticipated Saving Mr. Banks. Fans of “True Blood” know Taylor as Beverleen; followers of “Sons of Anarchy” know her as Luann Delaney. She has appeared on “The Ghost Whisperer,” “CSI: Miami,” “In Treatment” and dozens of other programs. We have seen her in Spielberg’s War of the Worlds and Sam Mendes’ Jarhead. Dendrie Taylor is, in short, one of the busiest actors in the business. Torn nevertheless asks more of her than any role she has ever played, this side of her work onstage – for between film and television assignments, Taylor stays busy in theatre. Of the three characters we get to know best, her Lea transforms the most deeply from one end of the film to the other. She not only suffers the grief, the loss that she 11 shares with her new friend Maryam, and the betrayal that both women feel when police suspicions focus on their sons – it is she who must most closely examine her own snap-­‐ judgments, her own impulse to condemn, and take the steps to make things right. “With each piece of material,” she says, “you ask yourself, how am I going to do my best? Torn is so charged. We actually filmed it before the most recent of the tragedies, such as the Boston bombing. What the film is dealing with has become so much a part of our conversation in the mass media. What Michael and Jeremiah have made here is very prescient.” In addition to Saving Mr. Banks, Taylor will soon be seen in Beyond the Heavens, Out of the Furnace, and Dawn Patrol. He inspires Tony Stark to grow a conscience in Iron Man, commands a starship in the first chapter of the latest Star Trek franchise, and serves as a future American President in the current hit Elysium. In Torn, Faran Tahir is asked to do something simpler and deeper: take us inside the heart of a grieving father who has not only lost his son, but the place he sought to make for himself and his wife in the world. Tahir returned at age 17 to the United States, studied at UC Berkeley and Harvard, from which he holds a Masters in Theatre, and has since distinguished himself with prolific work in American television – “NYPD Blue,” “Alias,” “The West Wing,” “JAG,” “Monk,” “Cold Case,” “24,” “Grey’s Anatomy,” and the reborn “Dallas” – and catching the eyes of (among others) the Disneys, who cast him in their live-­‐action Jungle Book in 1994, and director Mike Nichols, who in 2007 cast him as Brigadier Rashid opposite Tom Hanks in Charlie Wilson’s War. In addition to Torn and Elysium, Tahir will be seen later this year in the action-­‐horror fantasy Jinn. 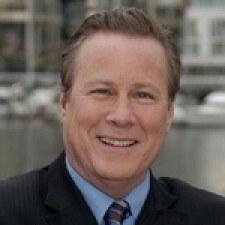 Ever since he first played the romantic lead in Chilly Scenes of Winter, costarred as Jack Kerouac (opposite Nick Nolte’s Neal Cassady) in Heart Beat, and won critical raves in the title role of Cutter’s Way, John Heard has been acknowledged as one of the finest actors of his generation. He has worked steadily with top-­‐flight directors (Ivan Passer, Martin Scorsese, Paul 12 Schrader, Robert Redford, Brian DePalma, to name but a few) in parts large and small. In Torn, Heard brings every ounce of his craft and gravitas to Inspector Kalkowitz, the local detective whose grim duty it is to keep Maryam and Lea apprised of the suspicions that have descended on their sons. Very shortly, Heard will be seen in Snake and Mongoose, opposite Noah Wyle and Tim Blake Nelson. A versatile actor of the stage and screen, Patrick St. Esprit’s credits include a prominent role in the forthcoming Hunger Games: Catching Fire as Romulus Thread – head peacekeeper of District 12. In Torn, he plays Lea’s soft-­‐spoken but – painfully, for her – intensely judgmental ex-­‐ husband. 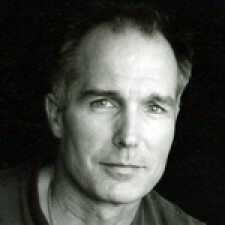 Prior to this, St. Esprit has been best known for his television work: “Bury My Heart at Wounded Knee,” “JAG,” “Crossing Jordan,” “Sons of Anarchy.” In the latter, he works with Dendrie Taylor, with whom he also costarred as husband and wife in a play, years ago – a creative bit of “common past” that lends a certain honest, intimate edge to their work together here. He will soon be seen in the films Draft Day and Liberty. Hers is the grimmest, most inflexible role in Torn. Washington plays the FBI agent who must – if she is to do her job – show no charity to the mothers she is interrogating as she gets to the bottom of the mystery over whether their sons were involved in the bombing that drives the story. Even so, as director Birnbaum notes, “Sharon does a superb job of revealing layers within this character. I only wish I could give her more to do.” Washington’s other film credits are an impressive array that includes: Die Hard: With a Vengeance; Michael Clayton; and School of Rock. Up to now, he has made his most public mark as a leading player at Facebook, but Torn is the result of creative ambitions that Michael Richter has pursued seriously from an early age. Miami-­‐born, he grew up in the northeast – primarily New York – balancing his law studies by both acting in and directing plays in college and law school. Above all, he has been dedicated to writing, developing his craft as he flourished over the past two decades as an entertainment lawyer, working with such corporate clients as eBay, Sony Pictures, and top talents like writer 13 Stephen King. The concerns driving Torn grew out of his apprehensions as the father of a young son in the wake of 9/11. 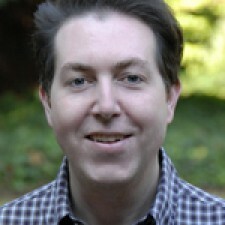 He has written and sold other scripts in the years since, but Torn is the first to be produced and its fortunes developed in more recent years parallel to Richter’s involvement with Facebook, where his specialties – privacy, copyright law, and first amendment issues – have made him that thriving company’s Chief Privacy Officer (Products). After moving from New York to the Bay Area as part of this leap, Richter met, worked with, and became friends with film producer and educator Jeremiah Birnbaum, who makes his directorial debut with Torn. A first generation American, Jeremiah schizophrenically grew up in both the vibrant bosom of Greenwhich Village in New York City and the frozen heartland of Minneapolis, Minnesota. A working filmmaker for 25 years, TORN is his first major work as a feature-film director. Educated at Wesleyan University and NYU’s Tisch School of the Arts, Jeremiah spent the first ten years of his career working as an editor and producer on social issue documentaries. He also started Detour Pictures with his college classmates, an NYC-based music video production company that specialized in hip-hop and rap videos. After working with some of the best filmmakers in the business, including two Oscar-winners, he moved to the San Francisco Bay Area 15 years ago. 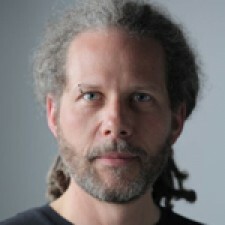 In 2005, he co-founded Fog City Pictures, which has produced close to a dozen independent films – among them Rob Nilsson’s “Presque Isle” and James Savoca’s “Around June”. Jeremiah is also one of the founders of the San Francisco School of Digital Filmmaking, an accredited post-secondary college that teaches the art and craft of filmmaking to an international student body. With its subtle attention to the state of the present world and the myriad ways people are divided not only against one another but divided within and against themselves, the story told in TORN spoke to the most personal things Birnbaum hopes to express in his work. Mr. Qureshi is a global entrepreneur whose passion is the development of new ideas, ventures and organizations. Focusing on the fields of high tech, social media and entertainment, his investments includes projects in Asia, the Middle East, Europe and North America. His accomplishments range from establishing high performing leadership teams to producing quality independent films. 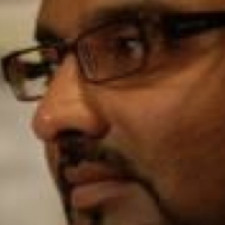 He is co-founder and Chief Operating Officer of Vpype Corporation, a social media company. His producing credits include the narrative film ‘Streets of Karachi’ and the documentary ‘Face2Face’ as well as the critically acclaimed feature film ‘TORN’ starring Mahnoor Baloch, Dendrie Taylor and John Heard. If you'd like to reach the TORN crew please use this form to do so.